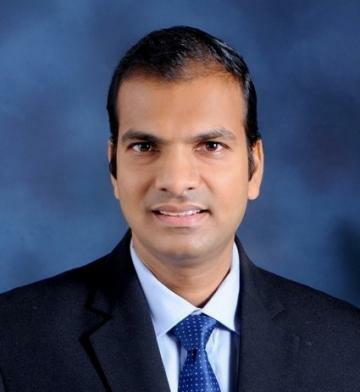 Karthik Arasu has been with Benchmark Business Sales & Valuations since 2014. Karthik comes from a family which runs successful business in India, he has a passion and interest for small business. After graduating in 2001 from Swinburne University with a Master of Engineering (Manufacturing), he started his first service station in 2002 and have successfully owned & operated multiple service stations. He has successfully owned and operated small & medium businesses. With a career spanning more than a decade in the Service Station Industry as a successful business owner operator, Karthik’s professional guidance with current market knowledge can reduce the stress involved surrounding the planning on selling or buying a business. He has trained many new commission agents & franchisees from basics to successfully owning and operating their own service stations for United Petroleum. He has a great deal of experience in service station, convenience stores, carwash, stock taking, change overs and the entire sale process. He knows & understands all aspects of a service station ownership and operation. Karthik deals with all types of Service Stations from Commission Agencies to Freehold Sites, New & Existing Leases and Franchises – with both the Oil Companies and Independents alike. His knowledge of the industry is unparalleled, he holds an Estate Agent's Licence and also a Certified Business Advisor from MAUS Business Systems, which gives him an edge over many of his peers. He has great interest and inclination towards community and social advocacy issues, he is actively involved in community work through the participation in many community-based projects and organisations. The business advisory services Karthik provides during the entire process help business owners make better decisions. Karthik is here to help you to acquire or sell a service station, supermarket or car wash – anywhere in Australia. This MEAT Wholesale Distributor Business For Sale operates in 2 Factory space co-joined as 1 Facility. This is a purpose built "State of the Art Meat Wholesale Facility" located in Melbourne’s outer North Eastern suburbs. Currently servicing full range Supermarket businesses and a number of Restaurants and mixed businesses, this factory also enjoys a significant sales base from direct factory outlet sales. We are currently looking for an experienced Operator to manage our Aviation refuelling business at Moorabbin Airport. Employing a small team of refuellers you are a hands-on leader with a passion for creating a welcoming, safe and customer focused operation. About the role. About you. Please forward resume and application to: karthik@benchmarkbusiness.com.au or contact on mobile 0422310325. Don’t miss this great opportunity!!! Benchmark Business Sales & Valuations. Your Search for Life / Work balance is over. Opportunities like this sell quickly. Don’t miss out. Enquire now! * Own due diligence required. Asking price for Freehold Property $808,000 & Business $35,000 + Stock For further information and inspections please contact Karthik Arasu on 0422 310 325 or 1300 366 522 www.benchmarkbusiness.com.au. This well-established country Tattslotto & Newsagency with a Service Station is situated in the border town of New South Wales & Victoria. This Business is a leasehold with long lease has strong consistently growing sales, currently operated by Owner and Management Team. This Business will be perfect for a Husband & Wife Team! This Accommodation Hotel / Service Station / Bottle Shop For Sale, is a freehold property on 2 titles on both sides of the Road & business with Multiple streams of income located prominently on the footsteps of on the Snowy River. This freehold property is on 2 separate Titles located on the opposite sides of the busy main road in the town. It consists of 23 Room Accommodation Hotel, TAB and Bistro Restaurant, 2 Shops in the front of Hotel for Rent currently leased, and a Spacious 3 bedroom Managers Residence, Extra unused shop space and Service Station with Drive in Bottle Shop.